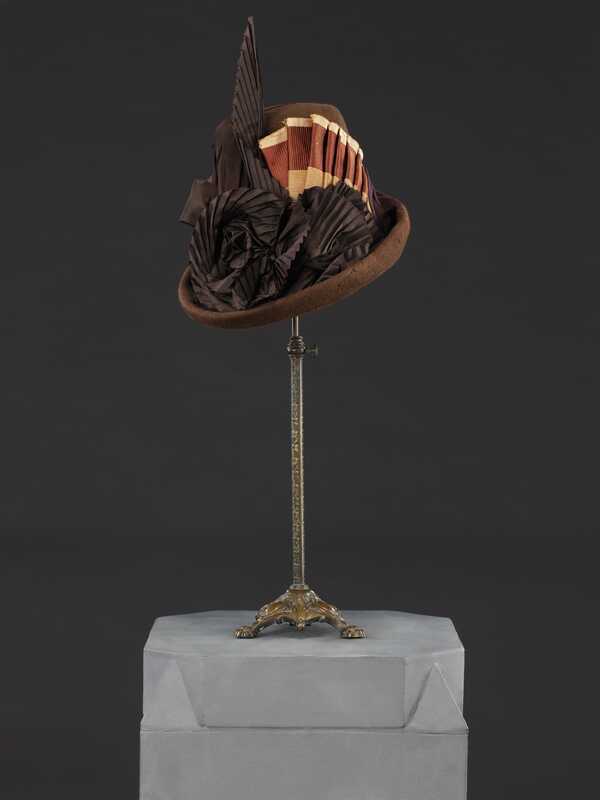 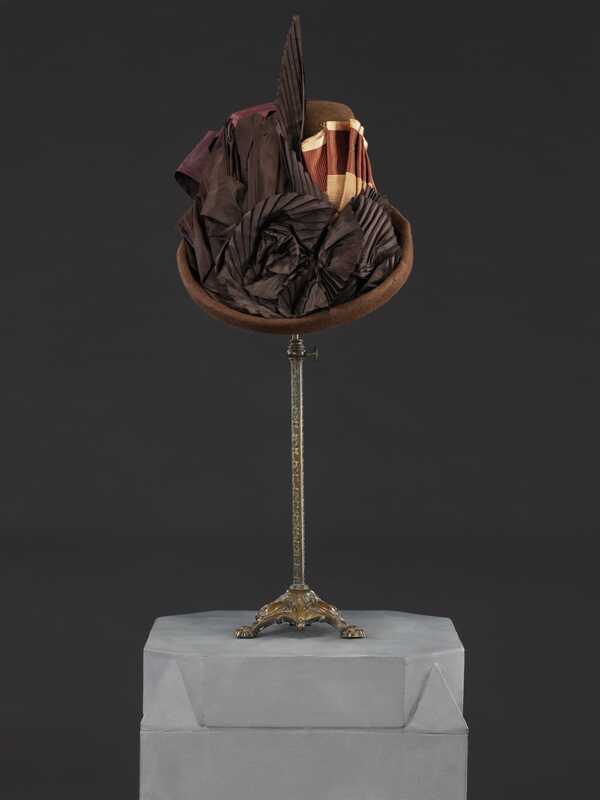 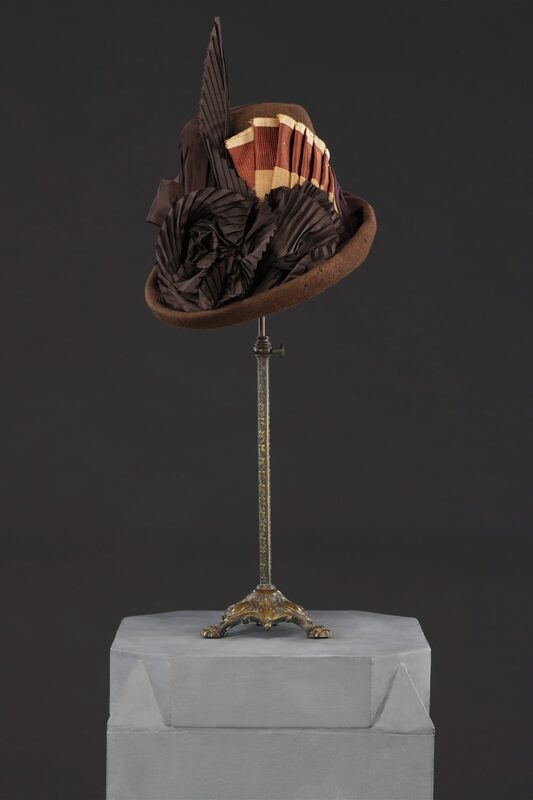 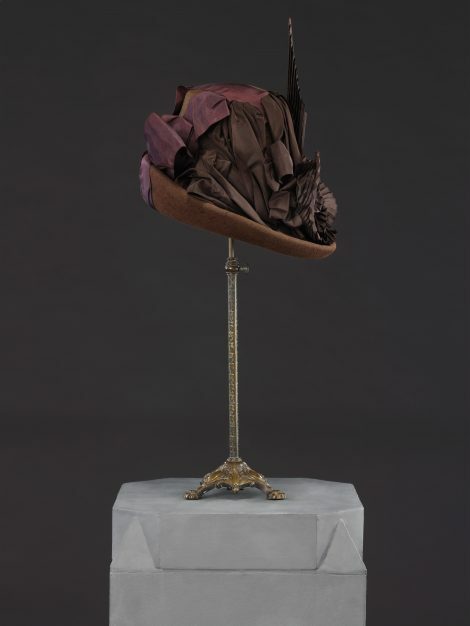 This style of hat, often referred to as a post boy or postilion hat because of its masculine flower pot shaped crown and narrow brim, was a dominant fashion of the mid 1880s. 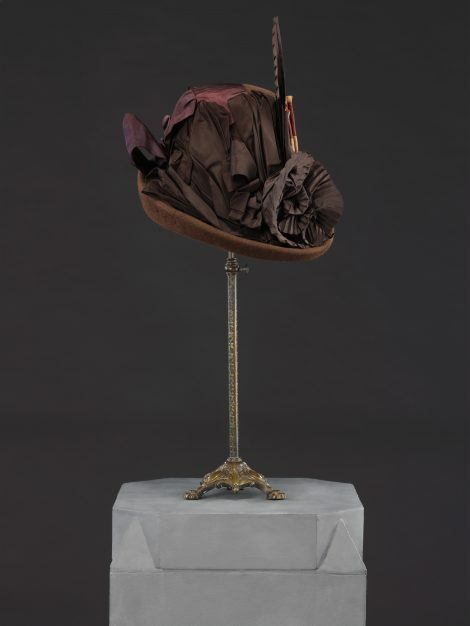 Like many such hats it has been trimmed asymmetrically in a manner that accentuates the height of its crown. 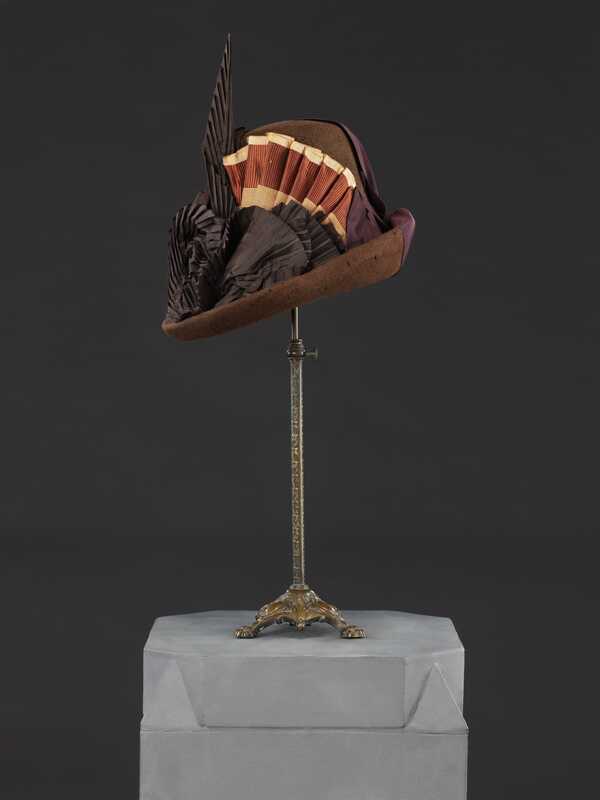 Frequently this effect was achieved with the application of birds’ feathers, wings, or even a whole bird, but in this case broad ribbon has been cleverly pleated to simulate feathers and arranged to look like the body of a bird, its ‘wing’ outstretched upwards towards the sky. Many people were deeply concerned about the destruction of bird life for the sake of fashion, forming protest groups that culminated in the establishment of the Society for the Protection of Birds in 1891. Its female membership was naturally instructed to ‘refrain from wearing the feather of any bird not killed for food, the ostrich only excepted’. This chic hat would have been worn without its wearer’s conscience being troubled.